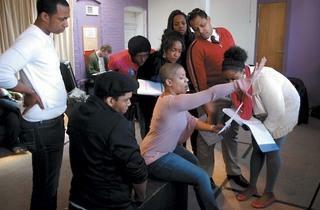 The two-year-old theater clarifies its goals under new artistic director Lili-Anne Brown. The occasion for these musings is the season kickoff party for the two-year-old Bailiwick Chicago, and an opportunity for the theater’s supporters to get to know Brown, the company’s new artistic director (she took over in April from founding artistic director Kevin Mayes, who remains on the theater’s board). For Bailiwick, the evening is also an opportunity to unveil a refined identity. “We’re already a sort of rebranded or reinvented company,” Brown says on the phone a day later, noting that Bailiwick Chicago is “sort of the son of Bailiwick Rep.” The current company was launched in 2010 by a group of artists, many of whom had worked with the long-standing Bailiwick Repertory Theatre, which shuttered the year prior. Brown, a Chicago native with an extensive résumé as an actor and director (as well as a stint as a talent agent), was part of that group. “Whenever you start any new venture, you sort of start with your training wheels, your almost, like, placeholder stuff,” Brown says of Bailiwick Chicago’s initial mission and branding. “Now, I think our placeholder stuff was very, very good.” In its first year of eligibility for the Jeff Awards, the company earned ten nominations, including five for Brown’s production of the idiosyncratic rock musical Passing Strange (which TOC also named one of the ten best plays of 2011). 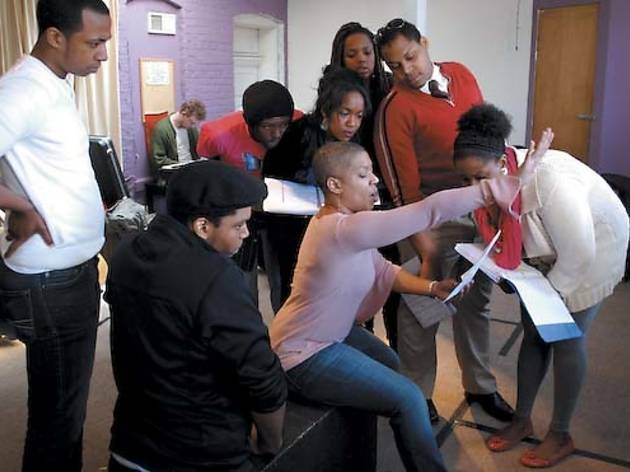 Brown describes her company’s revised mission as producing Chicago premieres of contemporary musicals and plays, reinventing classic musicals and developing new work. Bailiwick Chicago is demonstrating its commitment to the latter by adding two resident playwrights to its 27-member collective in Danny Bernardo and Aaron Holland. The company will debut Bernardo’s Mahal, which deals in themes of Filipino-American identity, in repertory at Victory Gardens next summer with the Chicago premiere of Robert O’Hara’s Bootycandy, a collection of short satirical pieces about the black gay experience. The season opens in October at Uptown’s National Pastime Theater with the company’s long-awaited Chicago premiere of Bloody Bloody Andrew Jackson, an irreverent rock musical about our seventh President. A spring project remains to be announced. In her remarks at 3160, Brown mentions Arlington, Virginia’s Signature Theatre as an inspiration. The idea of looking to that theater, which has racked up 5,000 subscribers and a regional theater Tony Award in less than two decades with its mix of new plays and reinvigorated musicals, as an exemplar for Bailiwick was suggested by Victory Gardens artistic director Chay Yew, who’s been “super generous with just talking and ideas,” Brown says.